Sharing the stories of SEO world. With the coming of different algorithm updates, it is not at all difficult to throw a retrospective glance at the different updates and how each one has altered the role of SEO. In the simplest sense, the Panda and the Penguin updates have taught us to become better researchers and writers. Penguin has made us change the way in which we build links and most recently, the Hummingbird update asked people to consider some conversational search queries within the content that we produce. 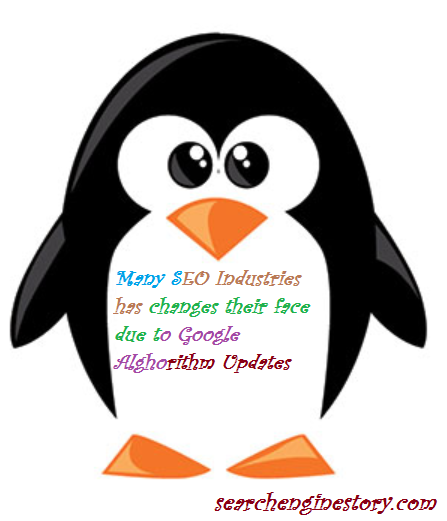 Irrespective of how small and frail an algorithm update can be, each one of them has affected the development and growth of an SEO’s responsibilities that can be tracked. SEO is something that is dependent on updates and this creates a bit of uncertainty in the industry. Here are some changes that you may take into account. There has been a time when SEO was strictly about getting more and more traffic for a website and previously it didn’t matter how it is being done and how it was accomplished. But time has changed. Presently, the role of an SEO is more than just attracting the visitors. It’s more about conversion of traffic. It deals with having a strong social media presence, building a brand, producing unique and high quality content that is found nowhere else in the industry. Why are such changes happening in the industry? Is it simply because Google wants it? Apart from making money, Google also wants its users to find the best search results as possible. What is the process in which you can separate the good websites from the bad ones? How can you make the bad sites stop competing with the good ones? Arming your website against the algorithms – What is the process? If you’re some webmaster who is trying to assess the ways in which you can guard yourself against the Google algorithms, here are some steps that you can take. 1. Avoid having a one-dimensional profile of backlinks: Avoid having a one-dimensional backlink profile if you want to guard yourself against the algorithm updates. An example of this would be a website that has always dealt with sites that have built links through guest posting. Guest posting might be a good way of building links, yet your backlink profile should always look natural. 2. Try preening your backlink profile: If you really want to be proactive link building, you shouldn’t wait for the next update to get rid of the bad links. We all have different kinds of links that we aren’t proud of and hence we should remove such links by contacting the webmasters. 3. Diversify your anchor texts: This should not be a kind of breaking news for anyone but when you still didn’t make an effort to verify your anchor texts, it’s high time that you do so. This goes back to building a natural backlink profile and making sure that majority of the links aren’t coming from one or two anchor texts. Hence, if you’re new into the SEO industry and you’re wondering about the steps that you need to take in order to arm yourself against the algorithm updates, you can certainly take into account the above mentioned steps. Amit Singh is a founder of searchenginestory.com he share his immense knowledge of Search Engine Optimization in this blog. Thank you for sharing valuable information on google updates.Find digital marketing jobs in hyderabad. If you would like to receive our RSS updates via email, simply enter your email address below click subscribe. Authors And Content play A Vital Role In Link Building – What Is Their Power?